Recent research has confirmed what we really knew all along: fathers are important. However, trying to figure out how to be the father you want to be can be very challenging. Fathers need to navigate their role with their own children and in some cases their spouse or partner's children. In addition, it is important to establish working co-parenting relationships with current and any previous spouses or partners. Each of these can be demanding in its own right, and if combined, can at times feel overwhelming. 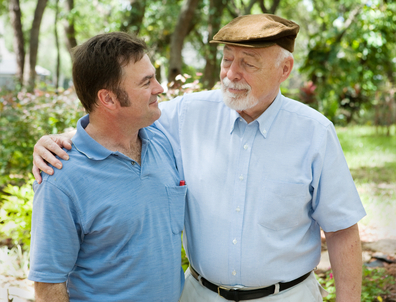 Whether these relationships are rewarding or stressful can have a tremendous impact on a father's quality of life. Divorced fathers in particular can face a difficult road when trying to develop or maintain a close relationship with their children and a peaceful cooperative relationship with the children's mother. It is challenging to co-parent with an ex, and courts are not always unbiased when considering a father's time with his children. I spent over 100 hours interviewing divorced fathers about their relationships with their children, learning what helped them and what did not. I draw on this extensive knowledge of fathers and their perspectives, as well as knowledge of and experience with child development and parenting, to help fathers strengthen their relationship with their children and increase their effectiveness as parents and partners. My background as a mediator also helps me to suggest ways to work effectively with and decrease conflict over co-parenting issues.